Samantha Seager trained at the Webber Douglas Academy of Dramatic Art. TV credits include regular roles in Coronation Street, The Hello Girls, The Lakes, Johnny and The Bomb and Me Too! 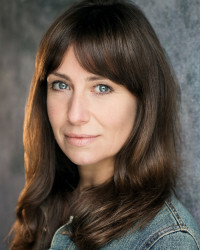 Samantha has also appeared as guest leads in The Bill, Strange, Waterloo Road, Holby City, Casualty, Silent Witness, Doctors, Boy Meets Girl and Little Britain. Film credits include Neanderthal, Releevo, Doll Factory and the award winning short This is Vanity.